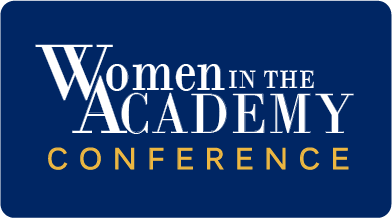 The Women in the Academy Conference at Baylor University would like to invite regional scholars and graduate students to participate in this year’s conference, scheduled for Saturday, April 7, 2018. The conference committee is accepting proposals for professional development workshops. The workshops’ goals are to help graduate students prepare for professional roles within and outside higher education. Graduate students, faculty, and administrators from across the region are encouraged to apply. Workshops are allowed one lead presenter and up to two co-presenters. All proposals are expected to be interactive. For your benefit, each room is equipped with a computer, internet access, and a projector. Proposals are due Tuesday, January 16, 2018. In order to apply, please click here to fill out the electronic form with the names of each presenter and a 300—500 word description of the workshop. Each presenter will need to attach a resume or CV. Accepted presenters will be notified by February 15, 2018. The registration fee for the conference is waived for all presenters. If you have any questions, feel free to email Elise_Leal@baylor.edu.